As East Fork has evolved to sell objects and products that we don't ourselves make, we've put a lot of brain power into defining what is "East Fork" and what isn't. A question I find myself asking a lot is: "Is this object trying to do too much?". Whether we're talking about a mug, a cast iron pan or a beauty product, we value objects that make a big impact without screaming for attention, that function as they should, and that look good doing it. All that to say: there's an oil cleansing band wagon and we've jumped on it head first. 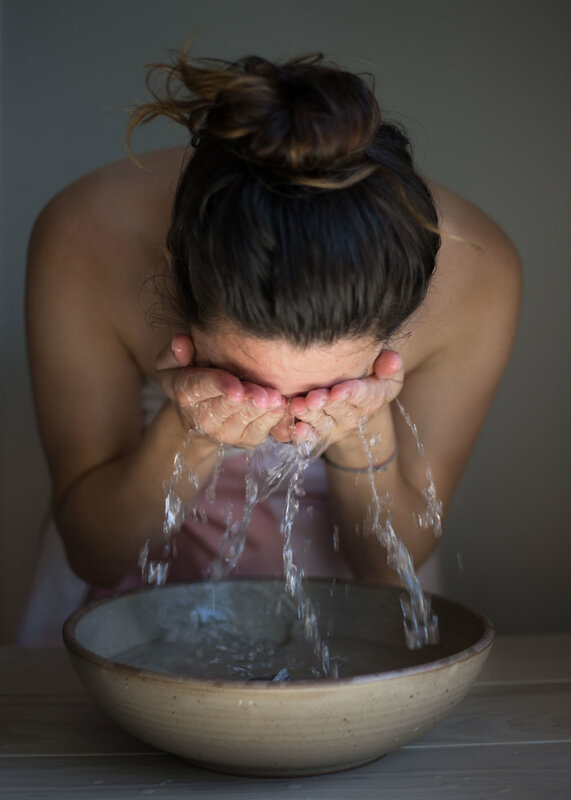 Oil cleansing works on the basic premise that using soap destroys the protective layer of sebum naturally secreted by your skin and sets off a vicious cycle of your body trying to over-compensate. The more soap you use, the more oil your skin makes. Makes sense to me. We've found 3 oils that work great, smell great, and look great - all with their own personality. Keep scrolling to learn more and find them in our web shop, here. 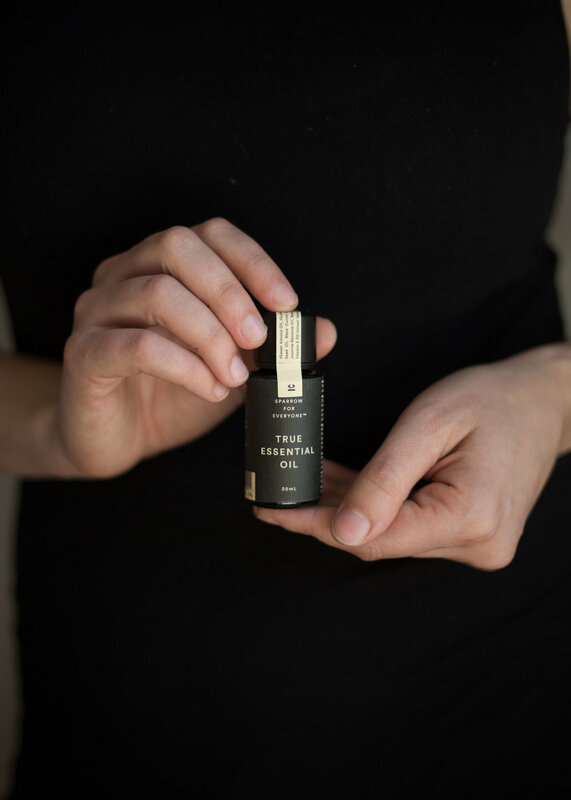 This is a magic little elixir, made in small batches with wild-foraged and shaman approved, organic ingredients. The texture and fragrance are divine: a blend of highly-nutritive plant oils, including hazel seed, borage seed and black cumin seed oils and essential oils like ylang ylang, jasmine absolute, lemon and rosewood. Use it in place of toner, cleanser, lotion, and night cream, or as an aftershave or scalp treatment. Really. 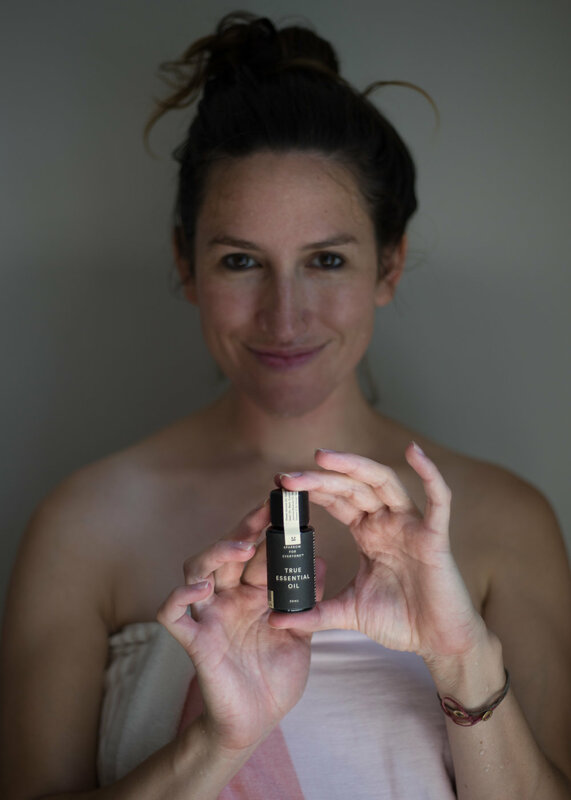 Scroll through the photos below for a step-by-step guide to facial oil cleansing. I got married last September and, as penance for spending the previous 17 months washing my face exclusively with Vita's diaper wipes, I bought a heavy arsenal of natural skin care products and devoted 30 minutes of my precious post-bedtime ritual childfree time to cleaning myself. My skin looked marginally better, I guess, but I'd file that time spent under NOT WORTH IT. When this stuff appeared in the shop I was sold exclusively on the scent - It smells as I imagine Cleopatra might have - in full recline, with an asp across her collar bone, awaiting her posthumous reunion with her beloved Marcus Antonius. In other words, hopelessly romantic, earthy, floral, and a little spicy. It's feminine in one sniff, masculine in the next . Gender bending, not gender neutral - Alex almost emptied the bottle on his entire body in the first week. I've used this in place of soap since April, and this is easily the longest I've gone without a zit since the 6th grade. This oil is a bit of a splurge, yes, but not if you consider that you can skip the toner, cleanser, moisturizer, under eye serums, yada yada yada...and it doesn't hold a candle to the price of a tub of La Mer. 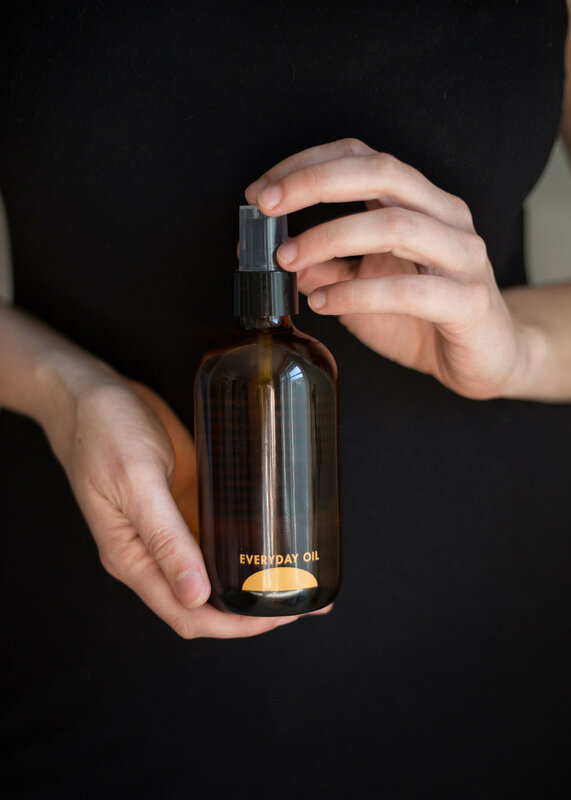 Asheville native, Emma Allen, started mixing oils in her Brooklyn apartment in search for an all-over body oil that wasn't a million dollars, didn't contain any nasty chemicals or fragrances and worked. Her blend, which includes just a bit of power-cleaning castor oil, contains 100% organic, cold-pressed, plant oils and steam-distilled essential oils to use on body, face, and hair. It's hydrating, cleansing, insect-repelling - and in a big, fat bottle that you won't blow through in two weeks. 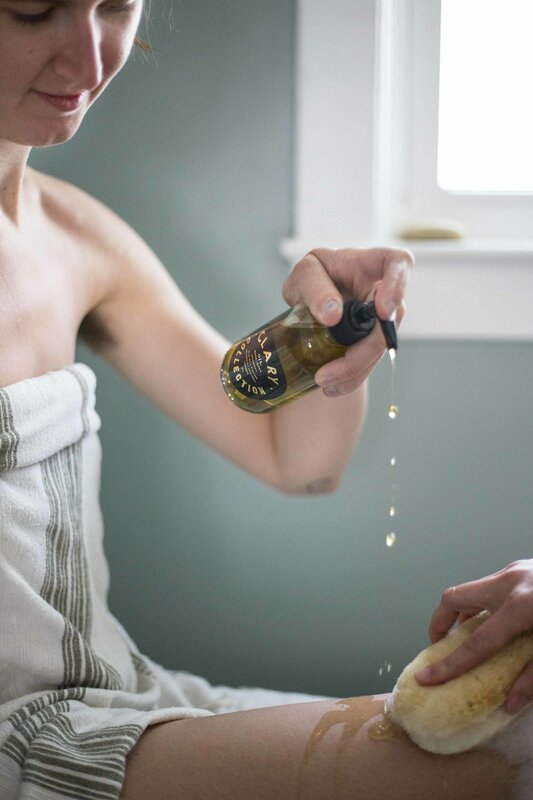 Everyday Oil is sold in trendy boutiques across the country, but made right here in our little mountain town! Coconut oil, olive oil, argan oil, shea butter, jojoba oil, castor oil, Palo Santo, lavender, geranium, and clary sage. I'm not gonna lie - I was pretty skeptical about the idea of slathering oil on my already oil-prone skin, trendy as it may be - but this stuff has made me a believer. It's great for oil cleansing, removing goopy eye makeup, body moisturizing - you can even sub it out for your icky chemical-based deodorant. Literally everything. It smells equal parts beachy and backyard garden-y and absorbs into your skin super fast. I'm also a sucker for the cool girl, minimal packaging. Carry this everywhere - every day. A product for the purist, made in Nashville, TN. 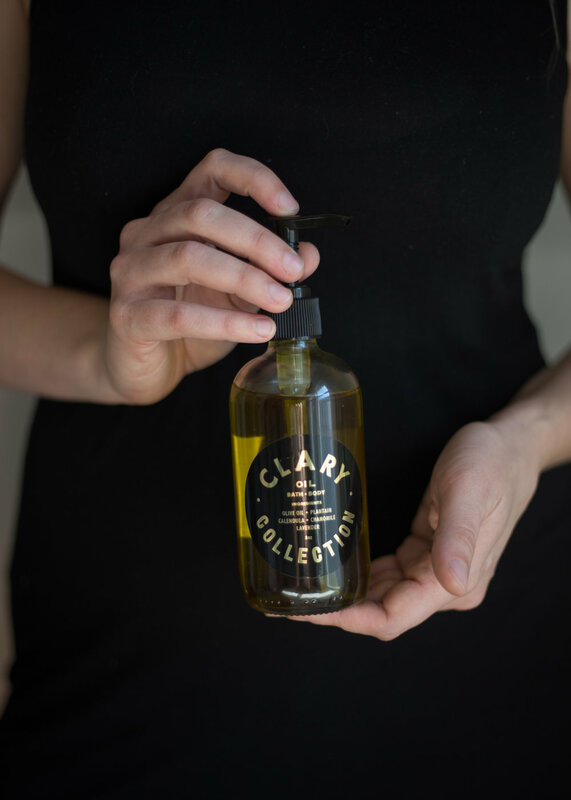 With a 100% olive oil base, Clary oil is infused with plantain and calendula, chamomile, and lavender flowers, making a super gentle, antioxidant rich, all-purpose rub safe for everyone's skin. 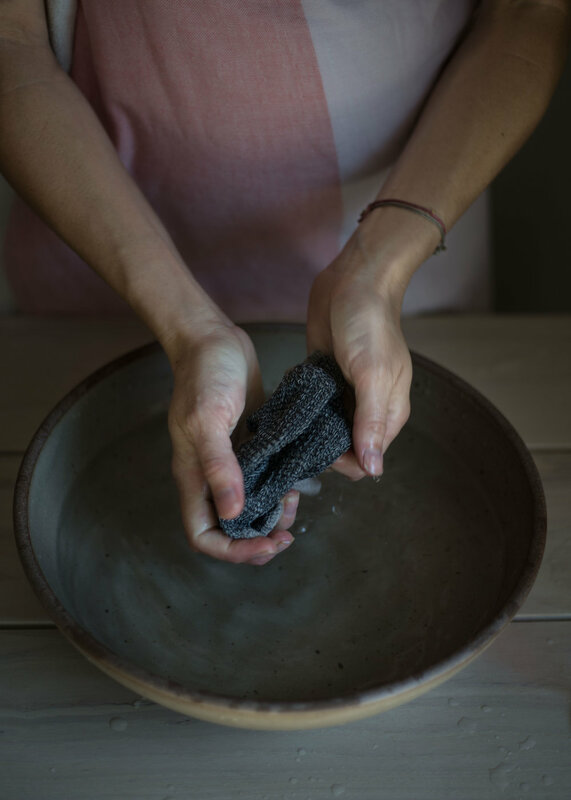 The makers recommend using it on damp skin, all over the body, or adding a few drops into your bathwater. We love using this oil after dry-brushing. Fun fact: I brought this bottle with me to the birthing center earlier this month and used it to clean the meconium off Lucia. Worked like a charm, ya'll. After emerging from the depths of a minor addiction to beauty guru Youtube videos at the end of college that kept me hooked on always trying the next new thing (those people are scary good at their jobs), I became wholly untrusting of the beauty industry and essentially swore off using any product on my skin that I couldn't also eat. After a few too many drippy post-shower trips to grab the jar of coconut oil from the kitchen counter and far too many constellations of confused breakouts, I've sought out a self-beautification middle ground - straightforward yet thoughtful natural products made by smaller, like-minded brands I can trust. 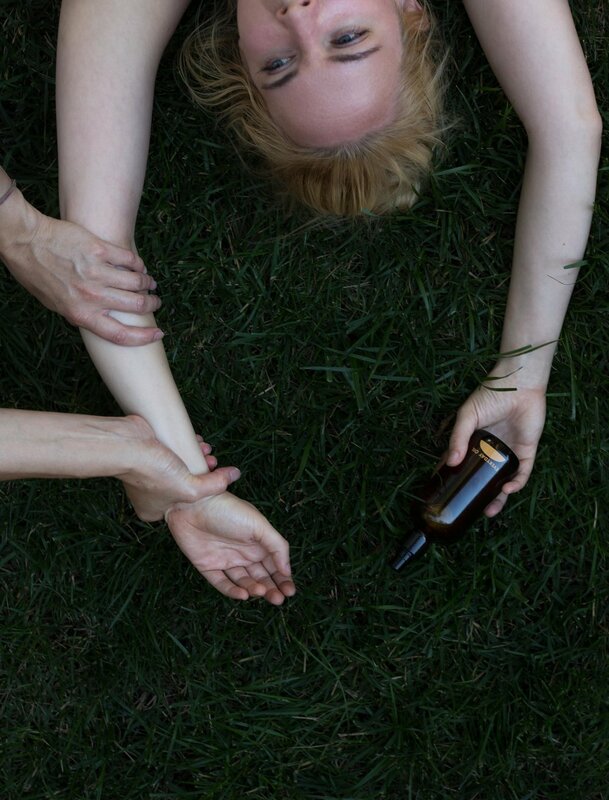 Despite years of devotion to bath-taking and sun-basking, I only recently realized I haven't been moisturizing my body; after trying out this Clary Collection oil at the shoot for the photos above, I'm sold. 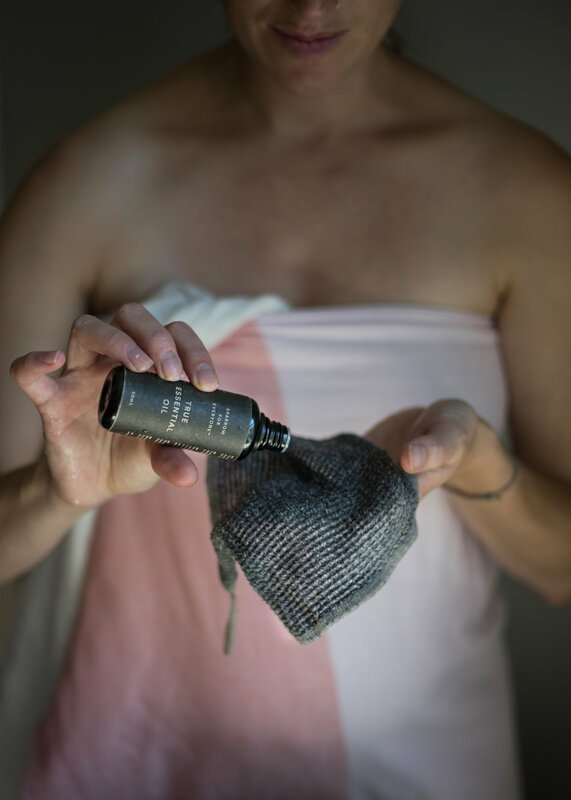 This oil feels luxurious, but it soaks right in and truly nourishes my skin without any of that greasy, okay-but-is-this-mostly-just-sitting-on-top-of-my-skin business. It also left my legs with a nice, subtle sheen that inspired an afternoon trip to the pool. I can't wait to add a few drops to a hot bath and slather this stuff on in the cooler months - it seems perfect for staying soft and supple when the weather is out to get you.